The Vegetarian Society of Bermuda produces seasonal newsletters (x4) each year, The Veggie Table, highlighting their local efforts, recipes, tips and other information about what it means -- and takes -- to be vegetarian in Bermuda. 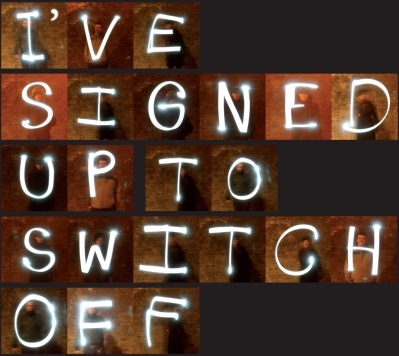 Is your business switching off for Earth Hour 2013? Each year, Greenrock and its partners in the Earth Hour Council aim to engage with as many local businesses and properties in Bermuda to participate in Earth Hour. Our Business Participation Agreement outlines why this global event is important and asks everyone – from property owners, facilities managers, employees – to turn off all non-essential lights in the workplace for Earth Hour (23-Mar, 8:30 – 9:30 PM). 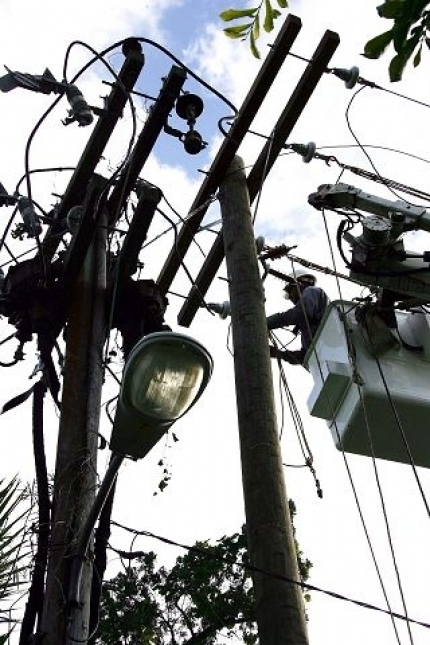 A proposal by Belco to raise electricity rates was slashed by the Energy Commission. The company had asked for base residential rates to be increased by 3.5 percent every year until 2014 the Commission approved an increase only for usage over 700 kWh this year. The approved schedule does allow rate increases for small commercial and demand services in 2013. Our Business Participation Agreement outlines why this global event is important and asks everyone – from property owners, facilities managers, employees – to turn off all non-essential lights in the workplace for Earth Hour (31-Mar, 8:30 – 9:30 PM). 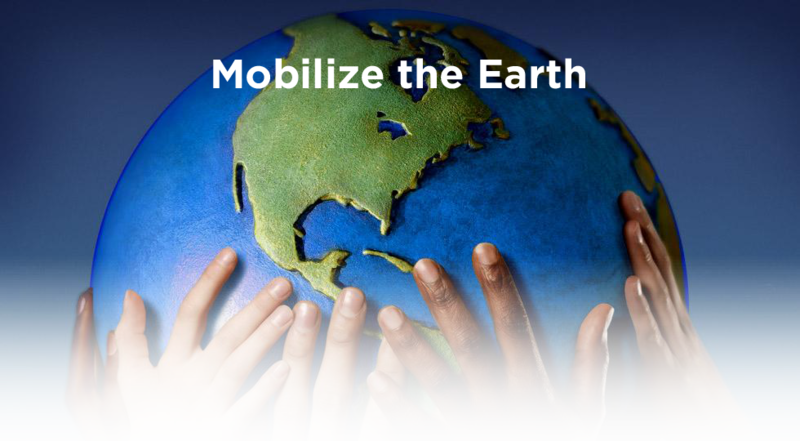 This year, the theme for Earth Day is Mobilize the Earth. More than 1 billion people now participate in Earth Day activities each year, making it the largest civic observance in the world. 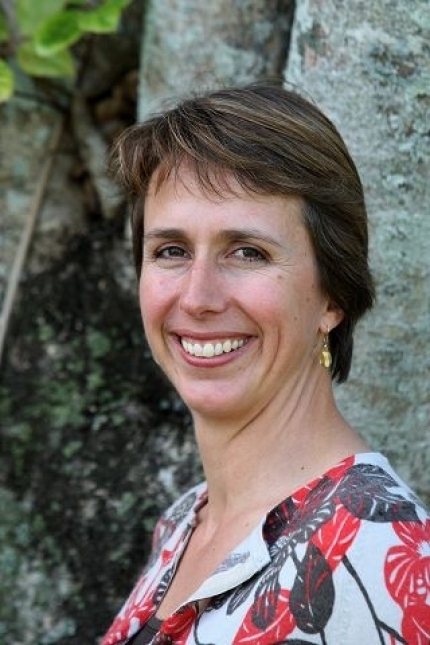 Why not join in by organizing or joining an Earth Day event here in Bermuda?! Earth Day events are limited only by your imagination. There are plenty of things you or your organisation can do here in Bermuda to have fun and foster positive change in our community. Develop your own Earth Day event or use one of the ideas listed below! Most importantly, make sure you do something that is engaging and that you enjoy; we want people to get excited about protecting the environment! Organize an Earth Day hike, bike, walk, run, swim or bike outing. Arrange a beach or neighborhood cleanup. Call a school or community center and offer to build and plant a vegtable garden for them and help maintain it during the year. Organize a screening of an environmentally themed documentary such as The Story of Stuff, Food Inc., Bag It or Who Killed the Electric Car. Invite a 'green' speaker or local environmentalist to educate your group about the threats to environmental sustainability and the ways to combat them. For even more ideas, check out this in depth Organizer's Guide. Remember, no Earth Day event is too small. Join the movement and start organizing today! With thousands of Earth Day events and a billion participants, this Earth Day we can show the world that every individual can make a difference! Greenrock can help with that. Once you've decided on your event, please register your event here. All local Earth Day events registered with Greenrock will be listed on this site. All local Earth Day events registered with Greenrock are listed here. For each event, we list the event details and whether the organizers are looking for people to attend or volunteer at the event. For more information about the global 'Mobilize the Earth' campaign and all additional programs that Earth Day Network is working on, please visit earthday.org/2012. Greenrock president Judith Landsberg calls herself an enthusiastic trier of green technology, even if it doesn't always go so well in its infancy. Her electric pedal bike is her pride and joy, but the light-emitting diodes her family once installed in the den didn't actually produce enough light to read by, and the solar-powered shower produced cold water on a grey day. The Earth Day Network hopes to present A Billion Acts of Green® before the United Nations Conference on Sustainable Development in Rio de Janeiro in June 2012. The concept is simple -- Get individuals and organisations to pledge acts that help reduce carbon emissions and promote sustainability. An act can be a simple gesture, such as washing laundry in cold water, or immense, like picking up a million pounds of trash. Individuals and organisations can pledge 'acts of green' at any time, and as often as they want. Earth Day is a great time to crowd-source acts of green within our community. Collectively, these acts will not only have an impact on global carbon emissions, but will also demonstrate the power of small every-day individual acts of green. Once you decide on your act of green, click here or visit act.earthday.org to register your pledge. The online registration tools are easy to use and only take a minute to complete. If your act of green is to Organize an Earth Day event here in Bermuda, then please also register your event here. For more information about the global 'A Billion Acts of Green' campaign, please visit earthday.org/billionactsofgreen. Earth Hour is a symbolic event where on the last Saturday in March billions of people across the globe switch lights off at 8.30pm for one hour to mark the world's largest public action for climate change. We encourage all Bermuda residents and businesses to do the same plan an event, have a candle-light dinner, or cast your vote for action on climate change by turning out your lights! 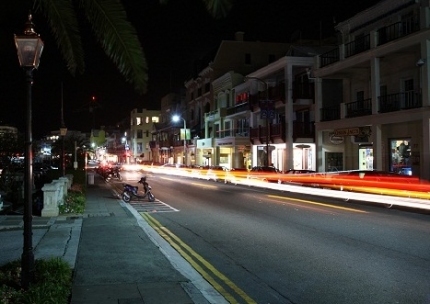 Each year, Greenrock works with the Earth Hour Council to organize and promote Earth Hour in Bermuda. Last year, more than 30 businesses around Hamilton switched off their lights, which helped set the mood for the 250 'Glow in the Dark' fun walk/run participants. 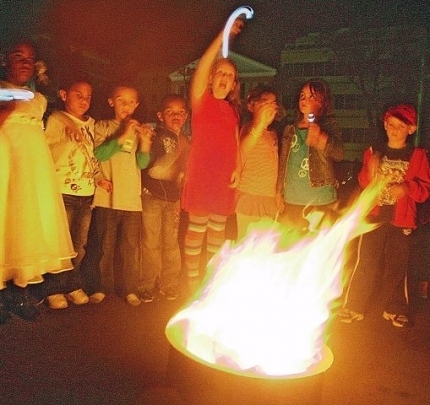 Click here for our review of Earth Hour 2013. Join us in uniting people to save the planet in 2014. Switch off non essential lights on Saturday 29 March at 8:30pm. Make sure non-essential lights in your buildings, facilities and signage are switch off during Earth Hour from 8:30pm to 9:30pm on Saturday 29 March 2014. For larger buildings, plan ahead with facilities and building managers to manage the logistics of switching off non-essential lighting for Earth Hour – including neon lights – in and around your properties. Sign up to switch off by completing the Business Participation Form below. 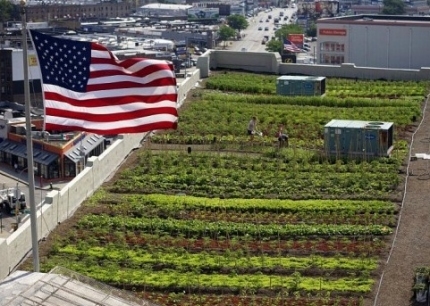 A new proposal by the Department of City Planning would allow commercial buildings throughout the city to be topped with rooftop farms or greenhouses without increasing the building's floor area ratio and height restrictions. Every little bit counts when it comes to a charity like Greenrock! Donations help us fund the day-to-day operations of the organisation, allowing us to maintain our existing programmes while exploring new programmes for the future.